With headphones of all types, colours and styles flooding the market, it’s hard knowing which ones to pick – do you go for the premium model you’ve always wanted, or are you better off just grabbing a cheap set from the discount bin? Well, it’s worth remembering that cheap headphones are cheap for a reason, so even if saving money is priority we can’t recommend those $2 discount-bin variety that you find all over the world. And, as you’ll find out below, you don’t always have spend a lot of dosh to snag a great set of headphones either. To save you the time and effort, we’ve put together this dedicated guide to the best bargains on great-sounding headphone. We constantly monitor major Aussie retailers and go a-huntin’ to bring you the most worthwhile deals on a variety of sets – from in-ear buds to noise-cancelling cans – so check out our continually updated list below to discover the best current headphones deals in Australia. To help you decide which headphones work best for you, we've decided to put together a little buying guide with a list of our favourite recommendations. The headphones you'll find here have tons of features to help you to get the most out of your music, or any other form of audio-visual entertainment you prefer, however you like to listen to it. For the most part, when shopping for noise cancellation headphones we've gotten used to making a compromise between shutting the world out and wanting great sound performance. But no longer. Sony's WH-1000XM2 cans are a great redesign of the already-excellent MDR-1000X and offer not just perfect noise cancellation but also score top marks in sound quality. These headphones easily outclass Bose's flagship QC35 II in terms of both soundscape and feature set. The very popular and excellent Bose QC35s underwent an upgrade and now come with Google Assistant at your beck and call. For a premium price, not only do you get Bose's world class noise cancellation and good sound quality, you also get a personal butler and an incredibly comfortable set of cans. And with up to 40 hours of battery life, you'll get through any long-haul flight. For a little over $100, it's hard to recommend a better sounding pair of 'buds than the 1More Triple Driver in-ears. It's hard to fault the headphones, if you can put up with the rubber cable and the plastic remote. Even that is just us nitpicking. For the price, it's our top recommendation of in-ear headphones if your phone still has a headphone jack or you don't mind using an adaptor. If you're a frequent flyer, or commute long distances daily, you'll understand the need for a great pair of noise cancelling headphones. Unfortunately, most of them cost a pretty penny. But not the Plantronics BackBeat Pro 2. 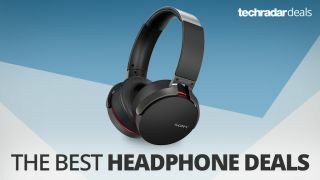 These headphones offer not just good sound and shut the world out, but do it at pretty much half the cost of the usual suspects of Sony, Bose and Beats. They also have a useful feature that turns the headphones off when you're not wearing them, saving battery. And did we mention you can pair two devices at once as well? If that isn't great value, then we don't know what else is. With headphone jacks fast disappearing from flagship handsets, wireless headphones is the way to go. But not everyone likes the feel of a set of cans on their head and cables, no matter how small, can get annoying. If that's describing you, then true wireless 'buds are the answer to your prayers. While most of them compromise on sound quality, the Jabra Elite 65t not only sound good but offer ambient noise isolation as well. They're an excellent substitute if you aren't too keen on the other-worldly look of Apple's AirPods. It's hard to find the Optoma NuForce BE Sport4 wireless 'buds, but if you're after a set of no-frills headphones that don't compromise on sound quality, you'll want to look for these. They do an excellent job of isolating sound when in a noisy environment and boast up to 10 hours of battery. And with a 15-minute quick charge, you'll get an additional two hours of playback out of them.